The Cigar Industry Report is a one stop place to catch up on the activity here at Cigar Coop and Stogie Geeks. It is a combination of our news reports, cigar reviews, and assessment updates we do throughout the week. 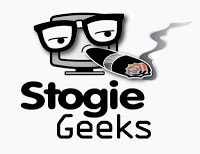 We will also recap what happened on our Stogie Geeks show. Finally, each week we will look back at Cigar Coop history. Look for this report every Saturday morning at 8am Eastern time. Today is our 105th consecutive edition of this weekly report. We start yea three next of our report. We completed our 2014 Post Season Awards. You can catch see a summary of our big award winners here. In what could be a signaling of the changing of the guard, Hamlet Espinal will become the new General Manager of TABADOM replacing the legendary Henke Kelner. Kelner will still continue as the Vice Chairman and still be involved in blending as well as a brand ambassador. Altadis USA: The new Romeo Anejo by Romeo y Julieta was announced. Avo Cigars: We had details of the rollout of the revamped Avo Cigars portfolio. Cigar Media Association: Announced Crowned Heads as its Brand of the Year, the Illusione Fume D’Amour as its Cigar of the Year, and Cigar Dojo as the Cigar Media Member of the Year. Davidoff: Announced details around the Davidoff Pause sampler. IPCPR: The retailer’s trade association for the premium cigar and pipe industry announced they are moving their headquarters from Columbus, Georgia to Washington, DC. RoMa Craft Tobac: The CroMagnon Fomorian is returning for 2015. Room 101 Cigars: We previewed the Room 101 Master Collection Three. Warped Cigars: The company has announced a new line called La Hacienda that will be made in Nicaragua. Louisiana: With the 2015 Trade Show taking place this year in New Orleans, IPCPR issued an alert to retailers and customers to make their voice heard on a potential public smoking ban. The final vote could take place as early as January 22nd. Kansas: Governor Sam Brownback has proposed a tax hike on tobacco. FDA: New legislation is expected to be filed with the House of Representatives and Senate to exempt premium cigars from FDA regulation. Our special guests were Aaron Loomis and Emmett Malone of Blind Man’s Puff. We went through our smokes of the week, and did a segment on some of the best Cigar Brands for 2014. January 17th 2011: We took a look at the proposed Outdoor smoking ban in Raleigh, NC. January 17th 2013: A cigar called the Alec Bradley Black Market Dirty Hooligan was announced. It was renamed the Black Market Filthy Hooligan afterwards. January 17th 2014: We did an Assessment Update on the Illusione Rothchildes.